Newly elected Prime Minister Tun Dr Mahathir bin Mohamad is overseeing the suspension of 1Malaysia Development Bank (1MDB)-linked projects as the investigation into misconduct by the administration of former prime minister Najib Razak expands. In the wake of Malaysia’s upset election, the political scandal into high-level government corruption has finally come to a head. While Malaysia’s anti-corruption task force investigates how billions of dollars went missing from a state development fund founded by former prime minister Najib Razak, Chinese corporate deals linked to the fund have also come under scrutiny. China Communications Construction Co. Ltd. (CCCC) has halted construction 688-kilometre East Coast Rail Link (ECRL) after receiving a letter from Malaysia Rail Link SDN BHD ordering “an immediate suspension of the contract under the ECRL project until further instructions.” The project has come under review as revelations it and similar mega-projects were signed despite exuberant costs and above average interest rates. Finance Minister Lim Guan Eng announced that the final cost would be US$20 billion, an enormous figure that would need to be reduced significantly for the project to become financially viable. 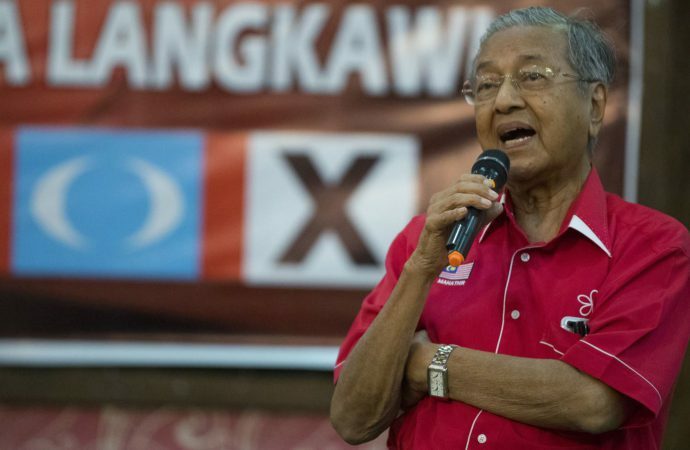 Malaysia’s recently elected Prime Minister Tun Dr Mahathir bin Mohamad has called the project “unnecessary” and linked its approval to the 1MDB political scandal and Najib’s now disgraced administration. The suspension of the project raises serious concerns about the former administration’s conduct. 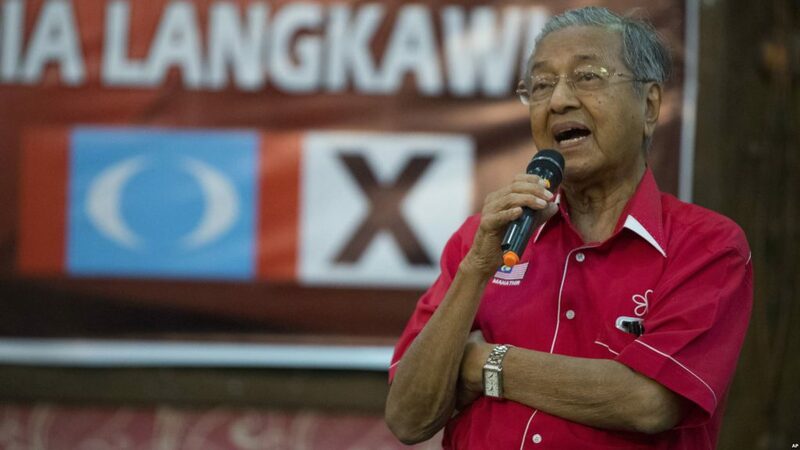 In particular, Mahathir has questioned the government’s dealings with Chinese state-owned entities (SOE’s) and the much-vaunted Belt and Road Initiative (BRI). 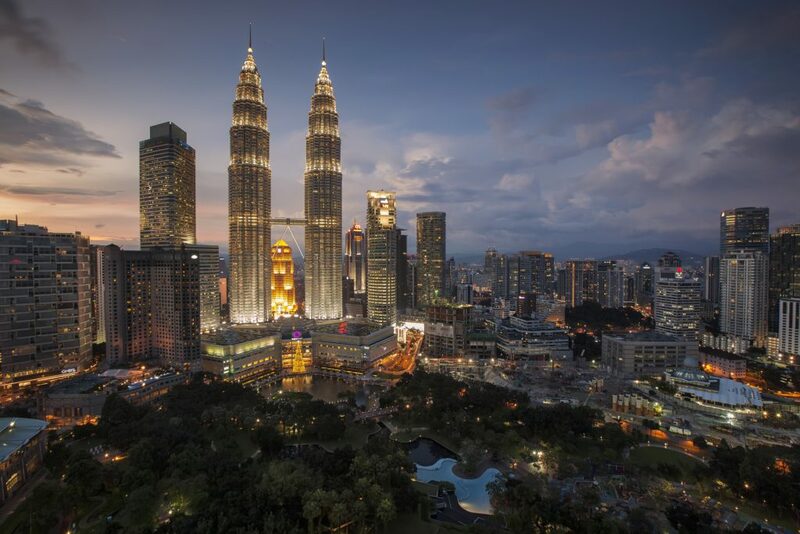 Flying to Beijing in mid-August, Mahathir will oversee a re-negotiated agreement that he hopes will provide a “fairer” platform for Malaysia’s development. With similar concerns beginning to be raised over BRI contracts elsewhere, Mahathir’s visit may well also inspire a broader rethink of China’s supposed “win-win” approach to development and aid throughout the Asia Pacific. At the ground-breaking ceremony for the ECRL, Najib said of the project: “The construction of this rail link is in line with the government’s initiative for efficient national infrastructure as well as connecting towns and upgrading public transport in the rural areas of the east coast.” Yet since Najib’s ouster, closer inspection shows that the project, if completed, would become a largely redundant addition to Malaysia’s public infrastructure network. To account for this discrepancy, reports indicate some funds meant for the project were diverted to settle debts associated with the infamous 1MDB. 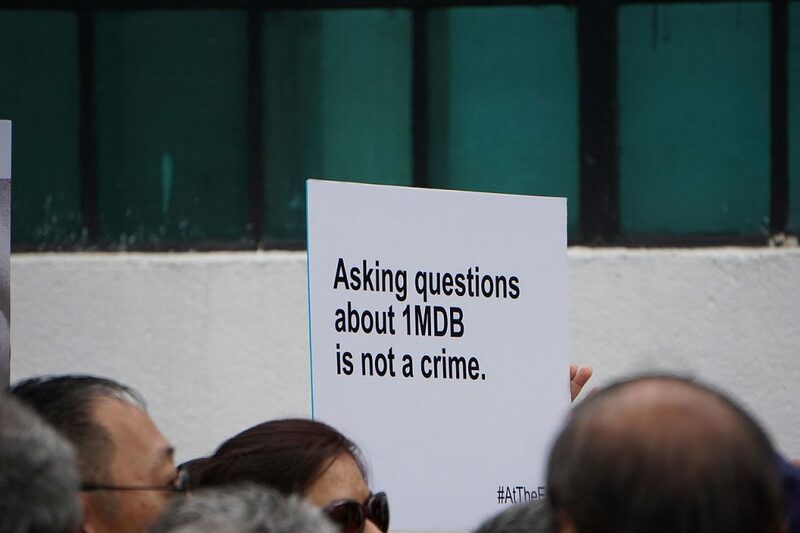 According to its publicly filed accounts, 1MDB has debt commitments totalling US$18.4 billion, contributing to the ballooning government debt to roughly 65% of GDP. Yet with some 85% of the ECRL supposedly being financed via a soft loan from the Exim Bank of China at 3.25% interest and under a seven-year moratorium, such a lucrative opportunity was perhaps too attractive to refuse. Early in his campaign, Mahathir raised other glaring discrepancies in Malaysia-Chinese SOE agreements. In addition to the apparent underreporting of debt figures by the previous administration, the Economic Planning Unit awarded the project to CCCC through direct negotiations in August 2016, which should not have been the case for public projects — tenders are the traditional policy. Mahathir’s journey to Beijing will be the first test of his administration’s approach to Malaysia’s foreign relations. Having already visited Japan and expressed interest in diversifying Malaysia’s stock of foreign security and trade relations, Mahathir’s attempts to circumvent Najib’s overreliance on Beijing will be self-evident. Mahathir referred to the Chinese investments and projects during the Najib era as “his particular way of conducting friendship with China.” By contrast Mahathir notes, “We will be friendly with China, but we do not want to be indebted to China.” In the broader image of China’s expanding foreign policy strategy, this is particularly salient. Seeking to avoid the sorts of deals that resulted in a debt-for-equity swap in an important Sri Lankan port, Mahathir struck a cautious and pivotal tone on China’s particular style of foreign investment that may resonate with other BRI partners. Mahathir cited Sri Lanka as a country that “lost a lot of land” because it couldn’t pay back money from China. Fortunately for Malaysia, China’s ambassador to Malaysia Bai Tian has indicated the two nations are set to have “comprehensive discussions with Chinese leaders regarding the promotion of friendship and cooperation between China and Malaysia.” In the long term, such statements would imply reluctance on the Chinese side to see any withering of Sino-Malaysian relations. But the same may not be true for China’s wider circle of BRI connections. The reality of debt traps inherent in deals heralded by Chinese SOEs has become a point of significant contention and risk, particularly among Pacific island nations and other ASEAN partners. The degree with which Mahathir can achieve the “fair” renegotiation of the ECRL may inspire a broad rethink as to the extent other partners may be able to reformulate their own development and investment relationships with Beijing. Mahathir’s efforts reveal the risk involved in China’s push for greater regional authority. Perhaps Kuala Lumpur possesses a certain degree of political clout that Beijing believes other partners do not. But just how much push back Beijing is expecting from other BRI partners will be evident in the manner in which it seeks to adapt to upsets in the region going forward. For example, China’s apparent oversight of upcoming elections in Cambodia may indicate its intention to intervene to avoid the types of hostile regime change that could catalyse just such a flurry of debt-related petitions. As such, the distance Beijing can go to ensure its interests without alienating its partners remains an open question, particularly with regard to the emerging Sino-centric regional status quo. There is little chance that China would forego investment within its expanding sphere of influence. But push too far and China may leave the door open to US, Japanese, Australian, or New Zealand efforts to deleverage BRI partners and curtail China’s regional influence.